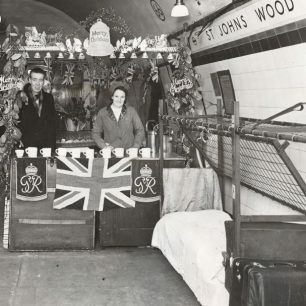 The underground railway was one of the reasons St John’s Wood remained more socially exclusive than other early suburbs; good transport led to an absence of stables and mews where the lower social classes had to be present as workers and which could easily degenerate into slums. 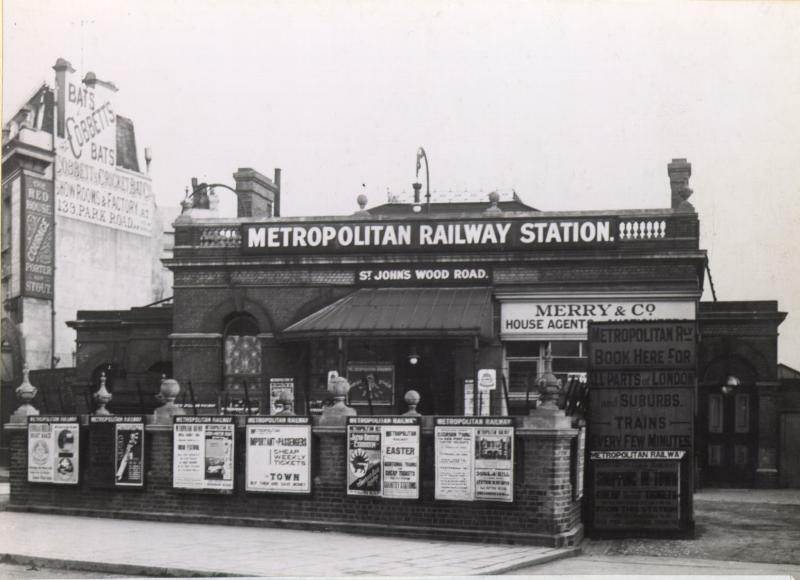 The Metropolitan and St John’s Wood Railway opened in 1869 as the northward extension from Baker Street to Swiss Cottage with two intermediate stations at St John’s Wood Road (opposite St John’s Wood church) and Marlborough Road (on the corner of Queens Grove). 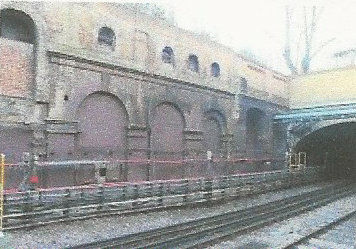 Originally it only had a single running track with a single passing place at St John’s Wood Road station. 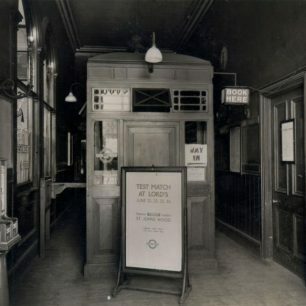 For a while, starting in 1874, the line operated with two human tokens, one in a red cap and one in blue; the train had to have the correct person on the engine to run on the single line. 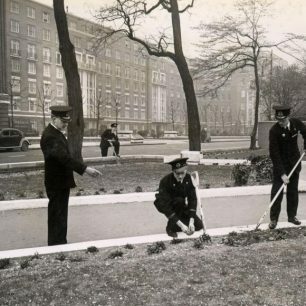 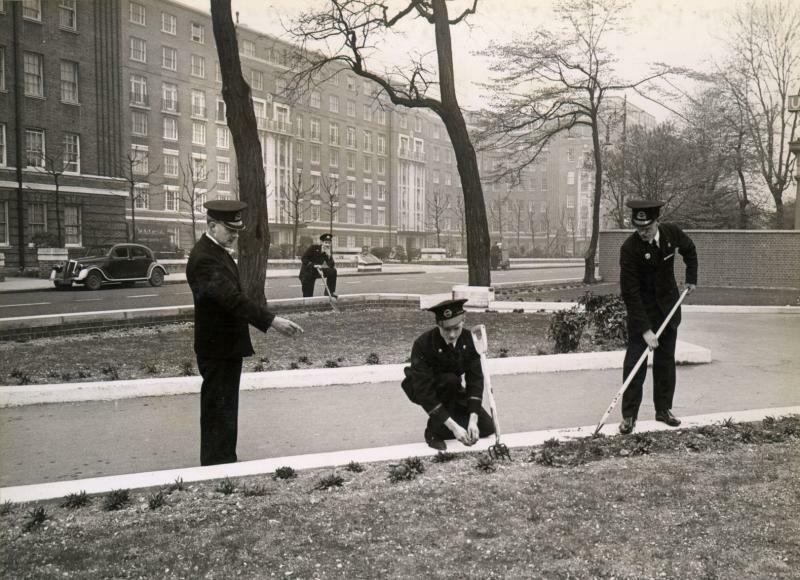 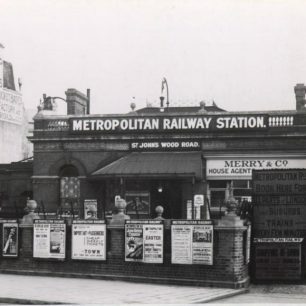 To speed the working, as the trains arrived at St John’s Wood Road, the men would jump off the engine and slide to a halt along the platform – a source of great public entertainment. 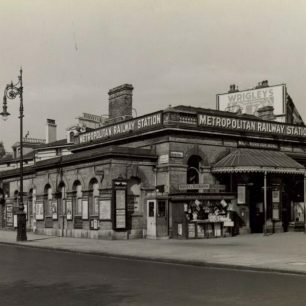 A large area of the Eyre estate had been sold in 1868 to the Metropolitan and St John’s Wood Railway Co, but after Marlborough Road station was built the Met railway disposed of the rest of the land and the houses on it. 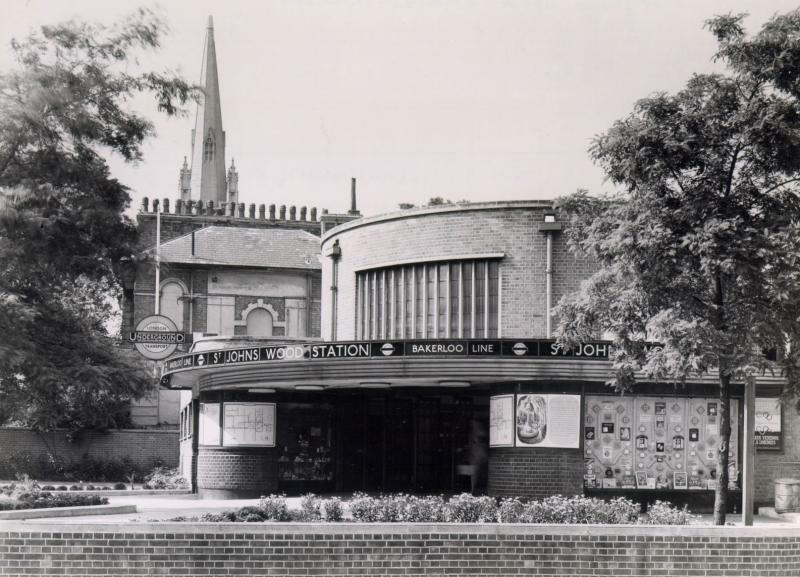 One was advertised as A most valuable property for conversion to business purposes, being the High Road close to Marlborough Rd station and no shops within a quarter of a mile. 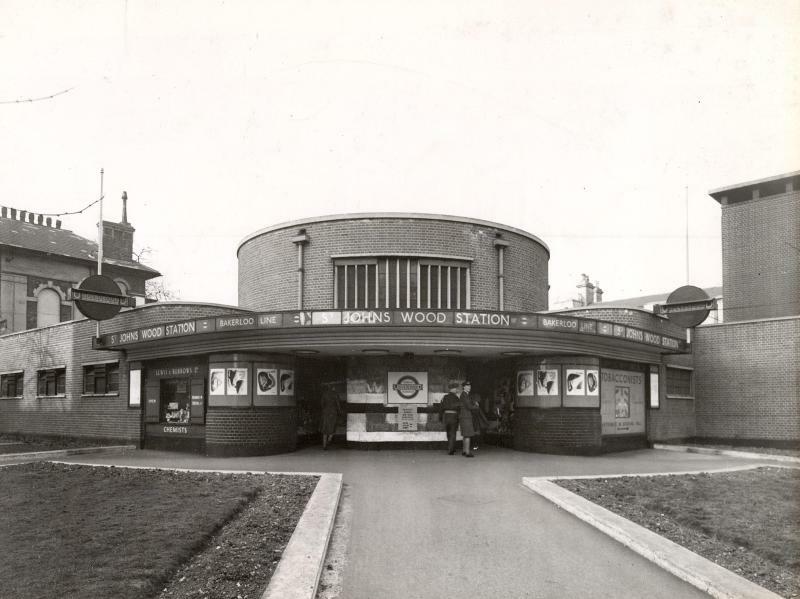 As time went on St John’s Wood Road station could not cope with the demands of the cricket crowds going to Lord’s at peak times and so it was demolished in 1924-25 and rebuilt to a design by Charles W Clarke. 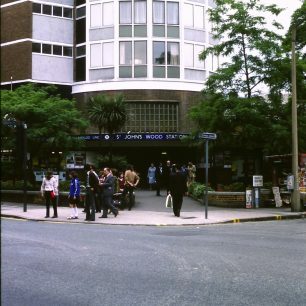 It became a larger building with enclosed space above the platform, with a concrete slab forming a parking garage under the original glazed platform roof and its name changed to St John’s Wood station. 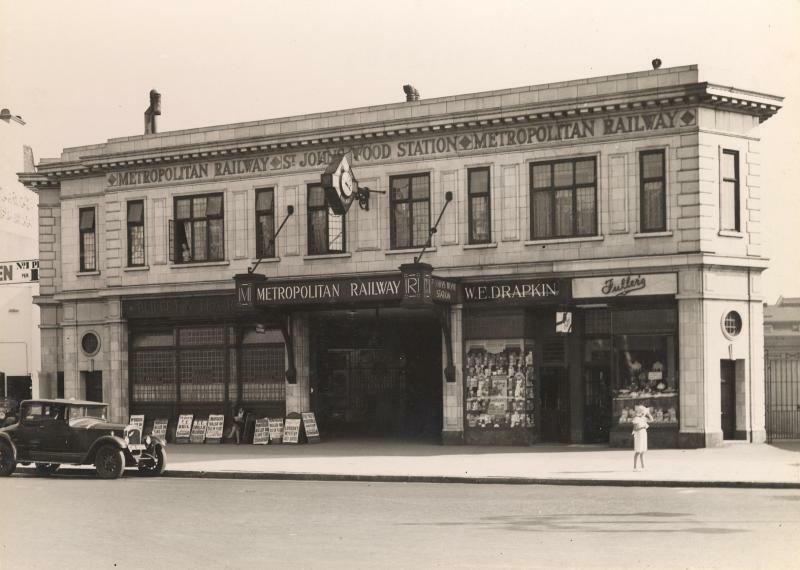 On 1 July 1933 the Metropolitan Railway was forced to amalgamate with the underground, forming the London Passenger Transport Board and new deep level tunnels were built. 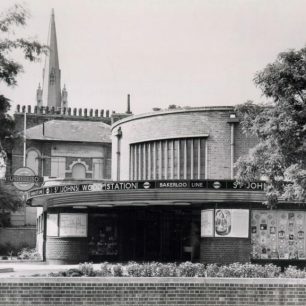 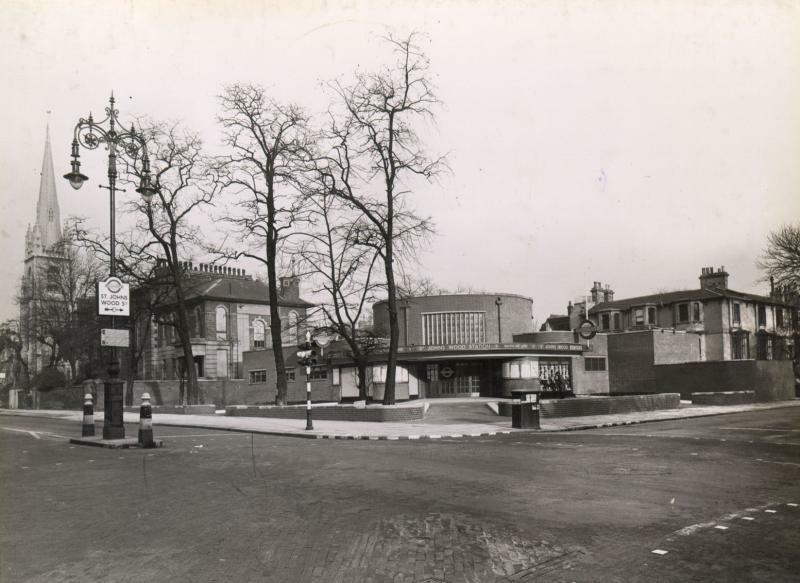 A new station to replace Marlborough Road some yards south on the Finchley Road was originally called Acacia Road station and was built on the site of sculptor Onslow Ford’s house. 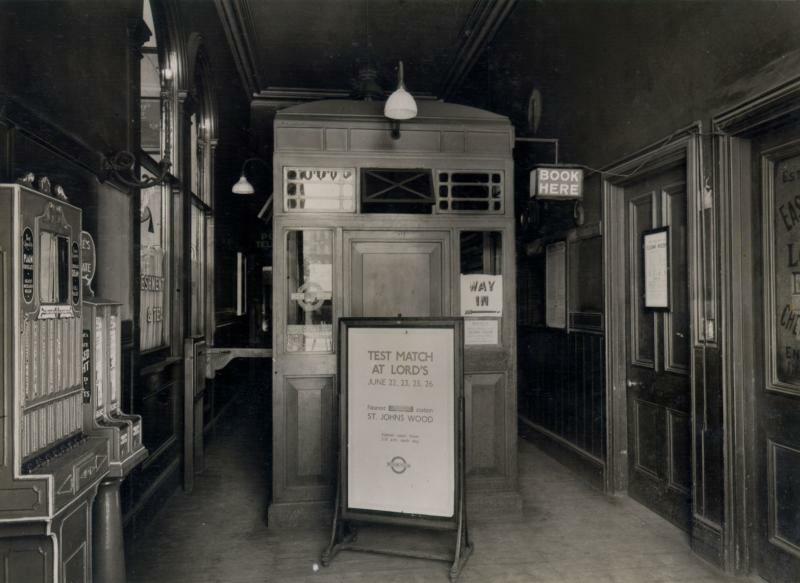 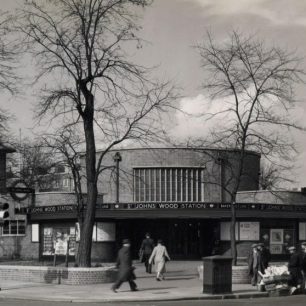 However when on 11 June 1933 St John’s Wood station changed its name to Lord’s, Acacia Road station became St John’s Wood, and Lord’s station only survived until 19 November 1939. 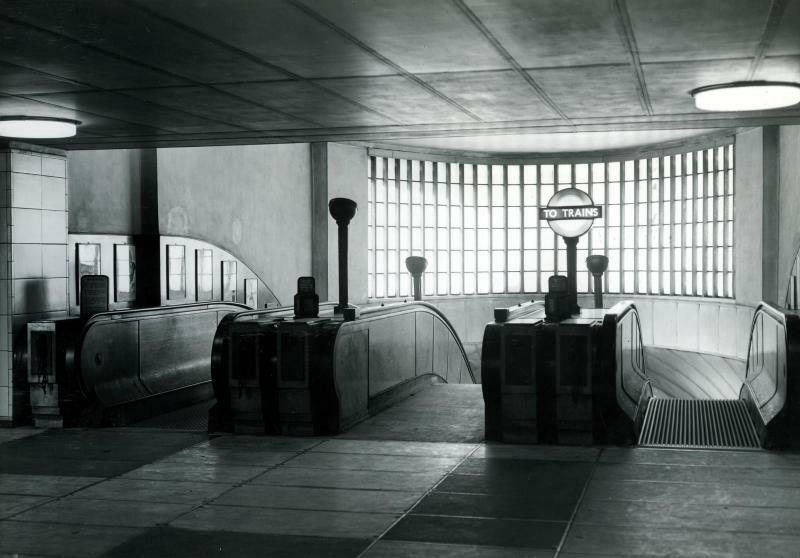 The new station combined architectural beauty with ingenious functionality and spoke of civic pride and the ambitions of London Transport. 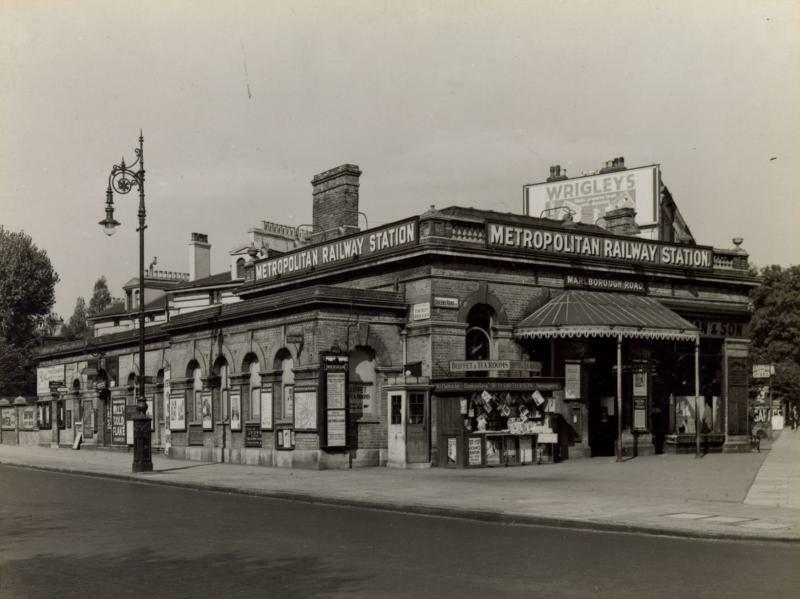 The station had a forecourt garden , the shop fronts had bronze framed windows and the entrance had glazed oak doors with bronze glazing bars. 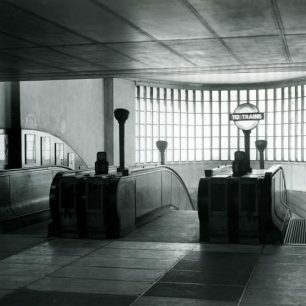 The escalators led to a low level concourse which retains its original pendant sphere light fittings and cream terrazzo with black subdivisions and skirting. . 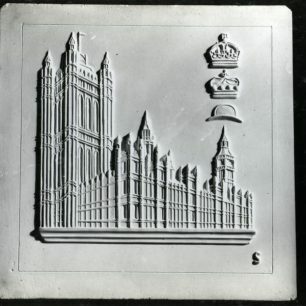 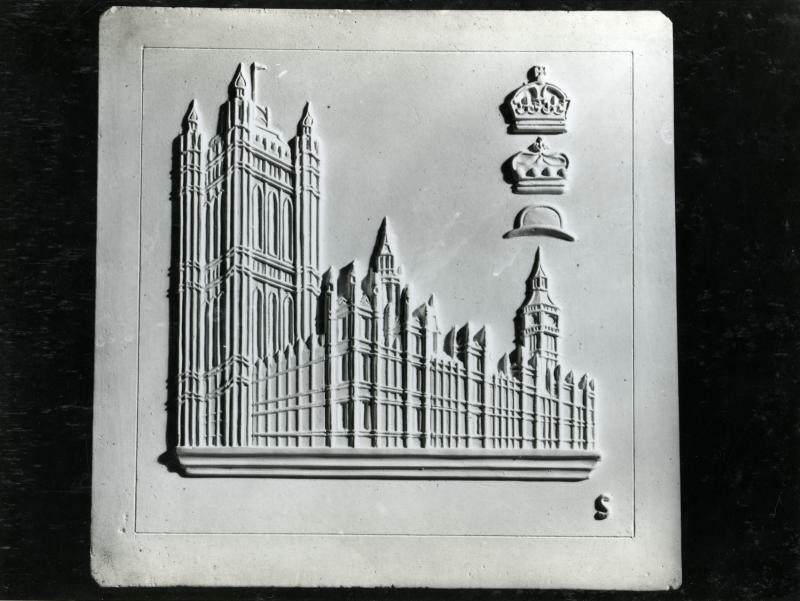 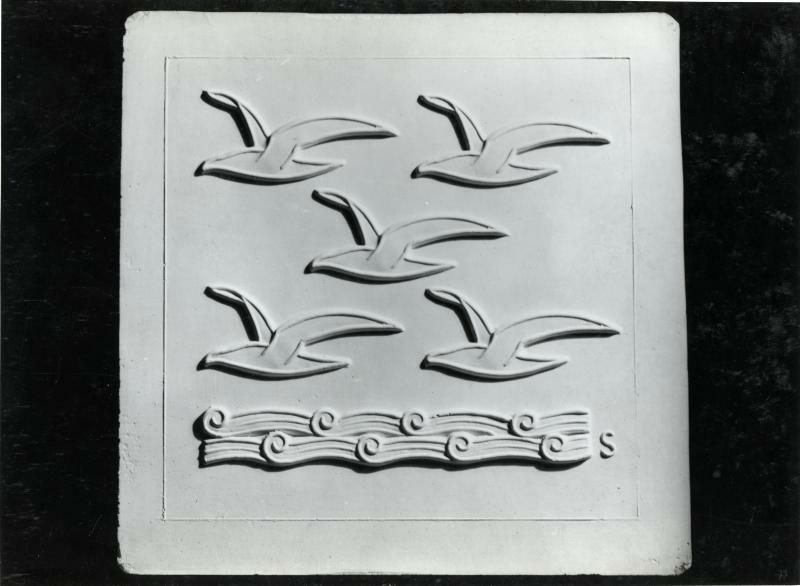 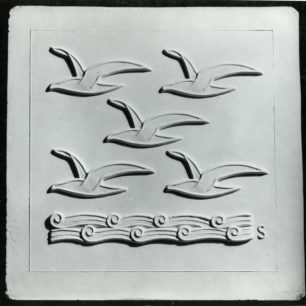 The concourse and platforms feature cream wall tiles with brown and yellow trims, and there are some moulded patterns by Harold Stabler (manufactured by Carter & Company, Poole, in 1936) including designs of St Paul’s Cathedral, the Palace of Westminster, 55 Broadway and Thomas Lord (after whom the nearby cricket ground is named). 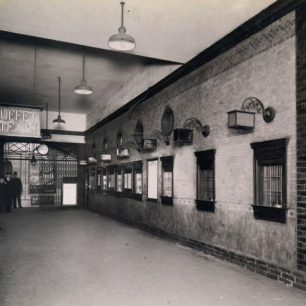 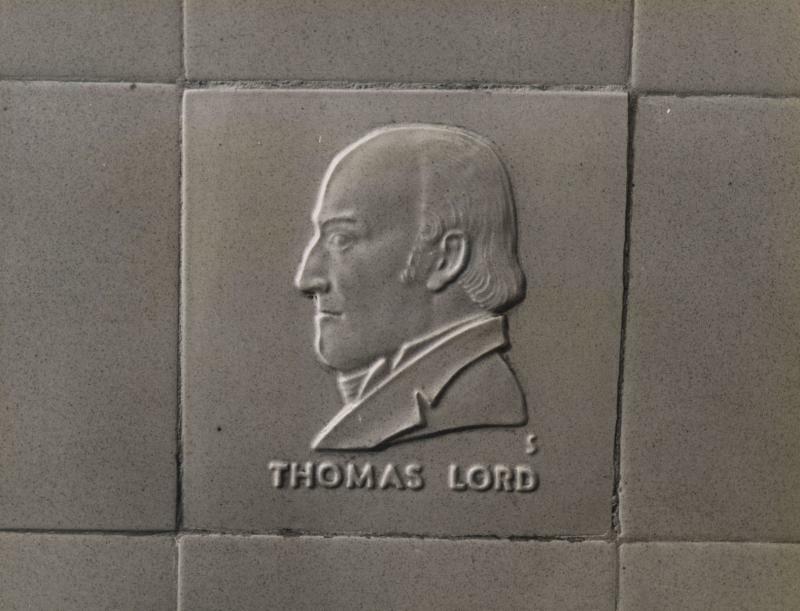 The platform tiling also contained the station name, and signage, seating recesses with oak seating, and grilles were carefully incorporated into the tiling. 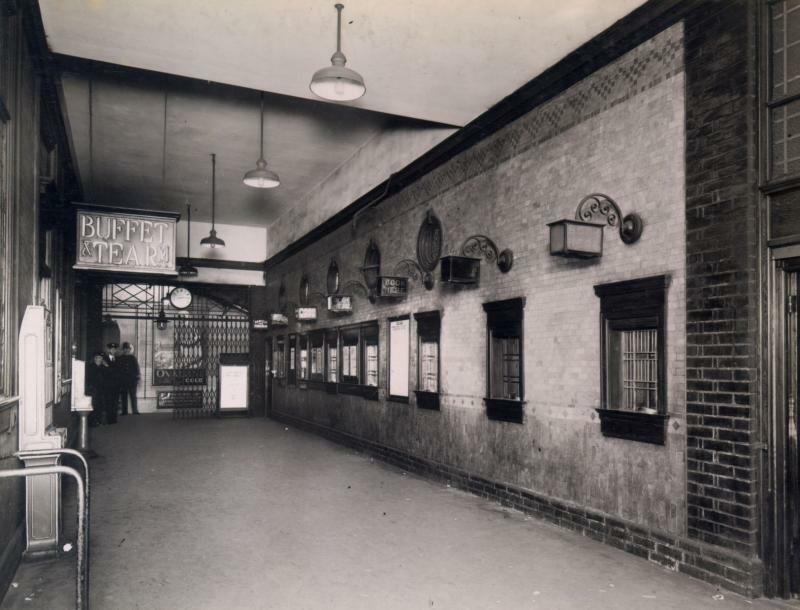 The ceiling was painted plaster and platform floors precast concrete. 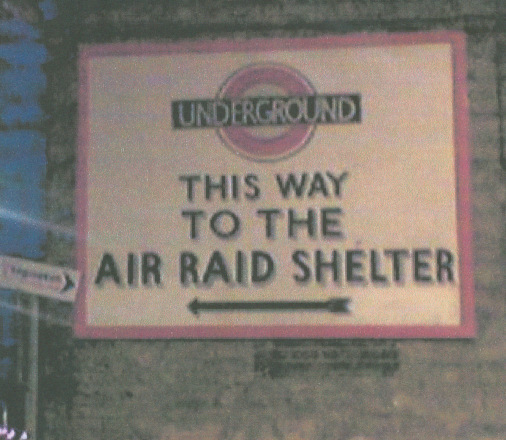 At the bottom of the escalators a bronze arm held up the most charming Way Out sign on the network. 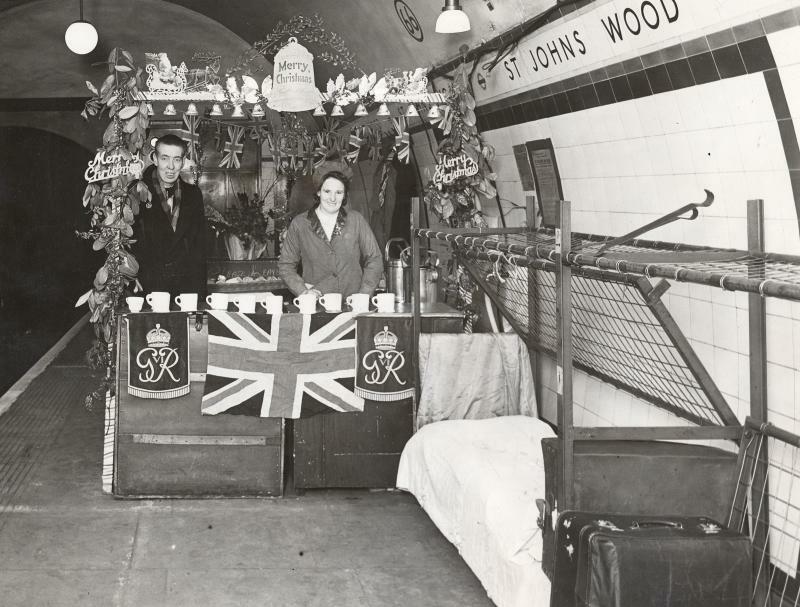 St John’s Wood tube station was one of the many Underground stations that was taken over by the public when night bombing began, despite this being banned by the Government. 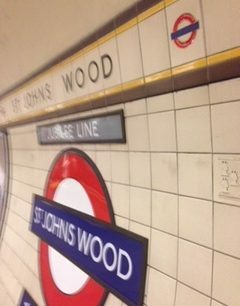 People just bought a ticket and went down to the platforms as the last trains left and refused to leave. 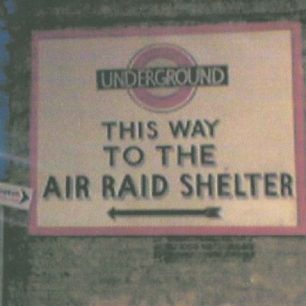 Stations were not immune from air raid damage but people felt safe down in the bowels of the earth. 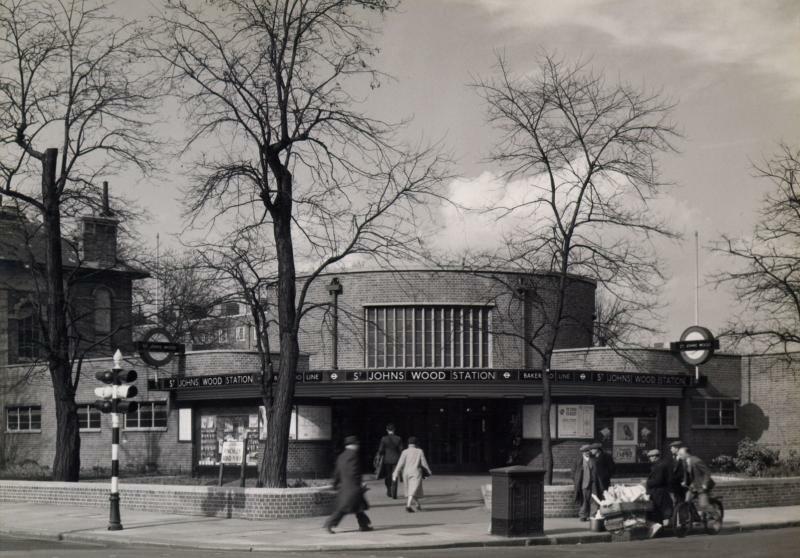 By 27 September 1940 177,000 people were using the tubes every night even though there were few facilities – if you wanted to “spend a penny” at Swiss Cottage, you had to get on the train to Finchley Road. 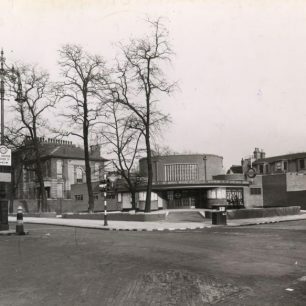 But soon the Government capitulated and welfare organisations provided drinking water, canteens and libraries, and 22,000 bunks were installed. 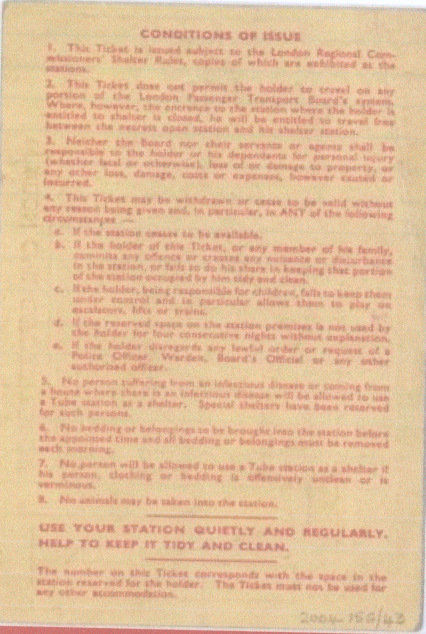 A ticket issued to a Miss M Chandler in 1944 allowed her to use the station during air raids. 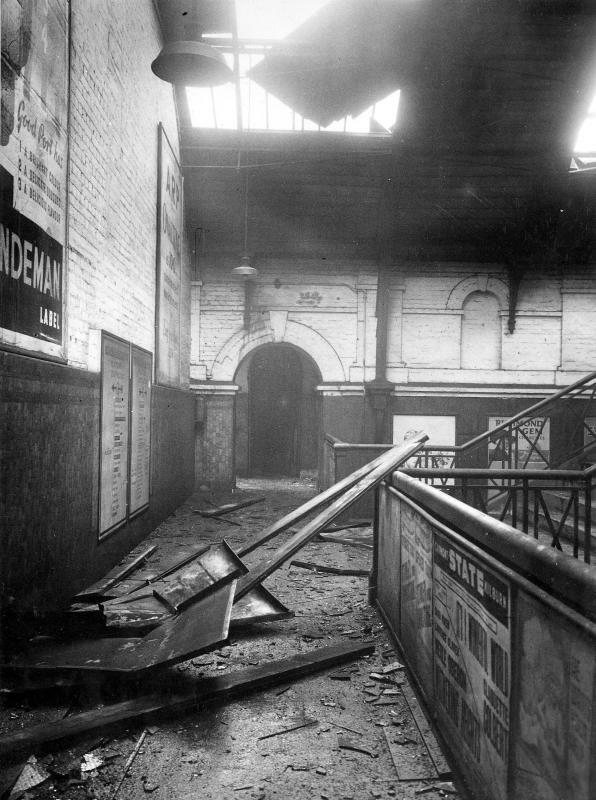 There was a list of conditions that people had to meet including making sure that bedding and clothing was clean and that children were kept under control away from escalators and trains. 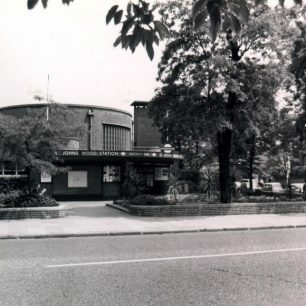 Local inhabitant John Disson’s family found their Anderson shelter damp and the public shelters were completely booked up with some people spending all day in them. Next stop was the St Johns Wood tube station, again all bunks were taken but we found a vacant spot on the floor in the weighing scale recess, on the south bound Bakerloo platform, (no chance of rolling on to the tracks from there). 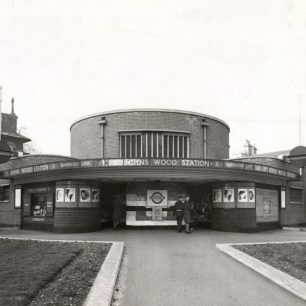 Verily Anderson in Spam Tomorrow described a night in the station: Inside the circular entrance to the station, lights glowed and quietness soothed. 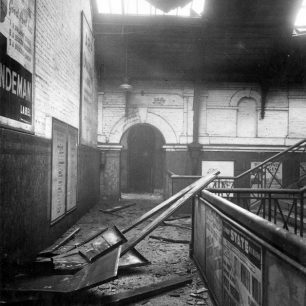 The escalators were stationary. 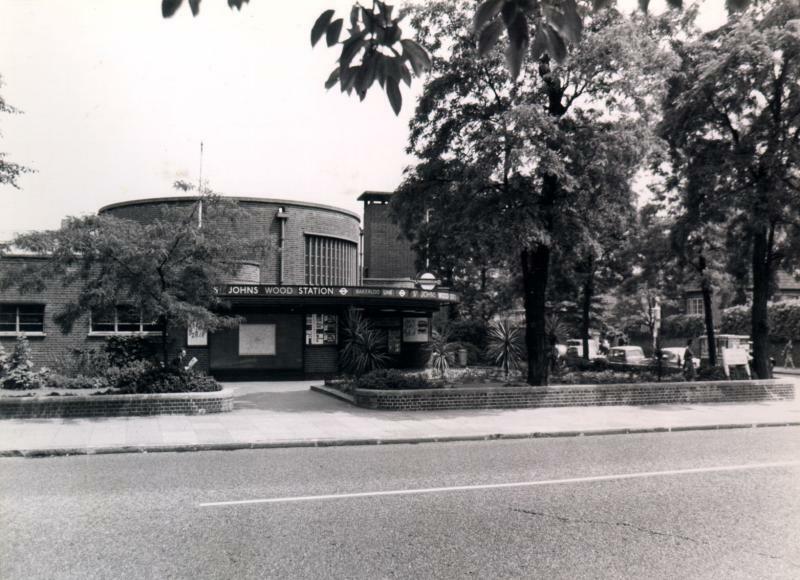 We left the prams at the top and walked down, carrying the babies and hiding the kitten in their shawls, in case animals were not allowed in public shelters. 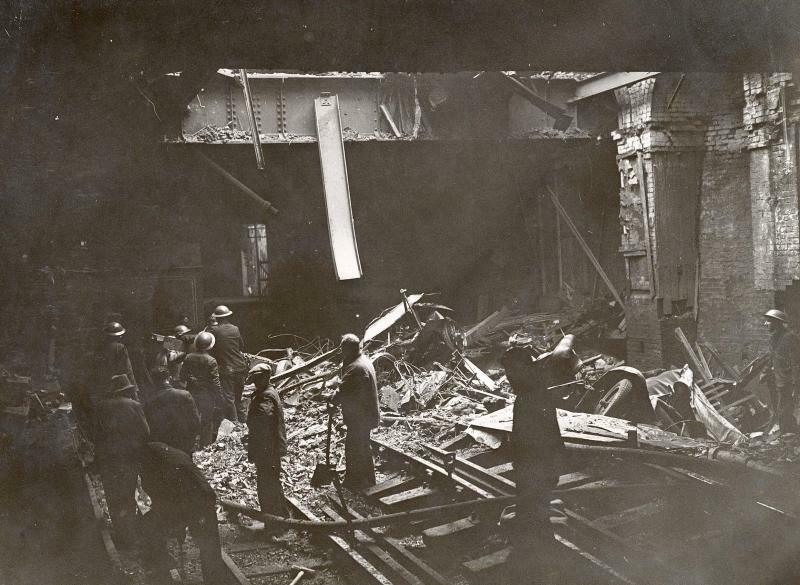 On the platform regular shelterers slept on steel and wire netting bunks. 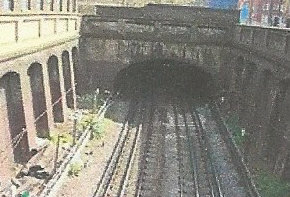 Donald stretched himself out beside the baby and they went to sleep at once. 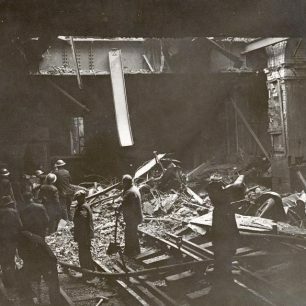 Marian and I tossed around on our wire-netting, to the roar of the air-conditioning appliance which drowned all sounds from above. 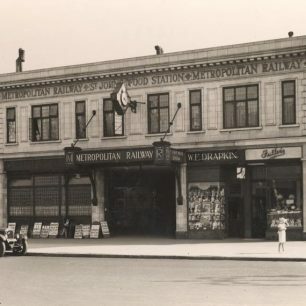 We must have fallen asleep just before the first train rattled through the station at about six. 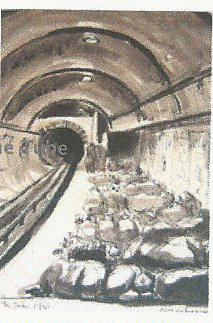 From then onwards they ran every ten minutes, disturbing sleep like a recurring cough. 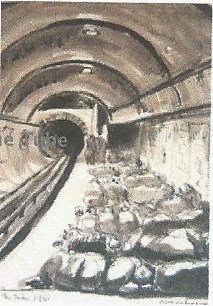 The shelterers began to stir, gather up their blankets and carry them away. 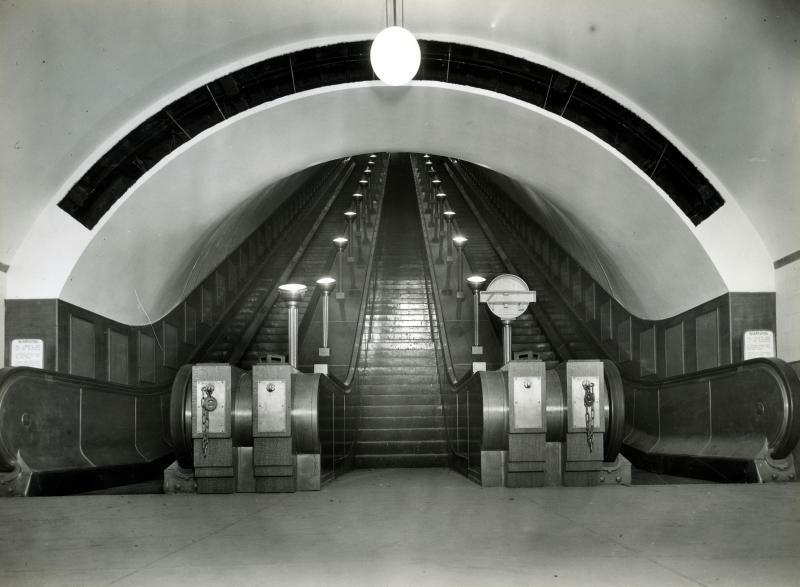 The escalator, working now, took us to the upper air. 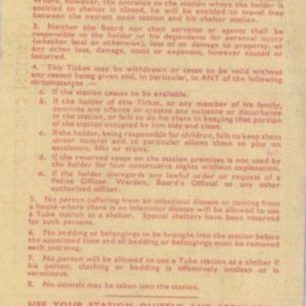 A warden at the top gave the welcome information that all was clear. 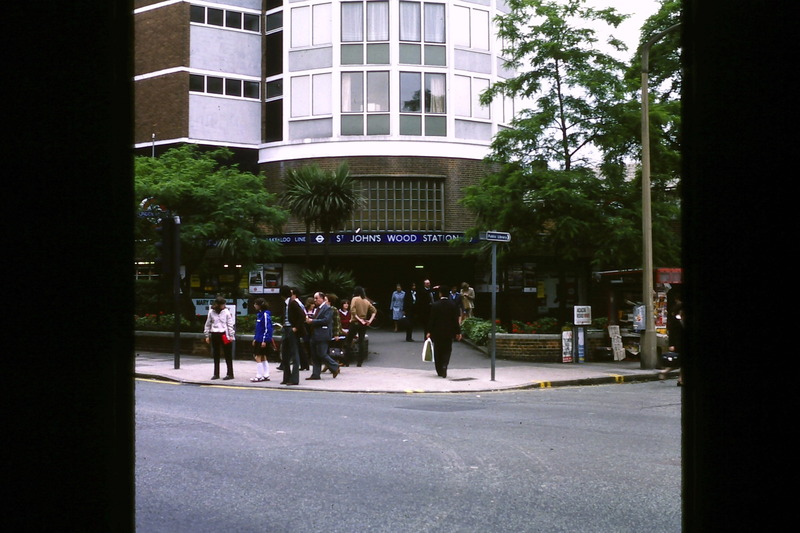 Fifteen years after the end of the war the exterior of St John’s Wood station changed as flats were built on top of it but the station is now a listed building, because of its intactness and the rarity of some of its fittings. 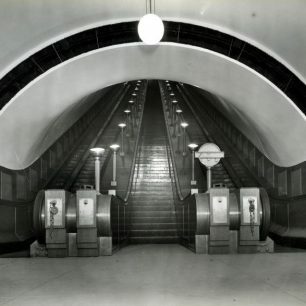 It has one of only three surviving sets of bronze escalator uplights and 2 underground roundel signs reading To Trains and Way Out. 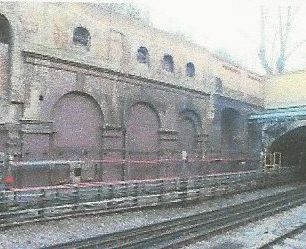 The remnants of Marlborough Road station can still be seen from the Finchley Road near Queens Grove as it is just below the surface. 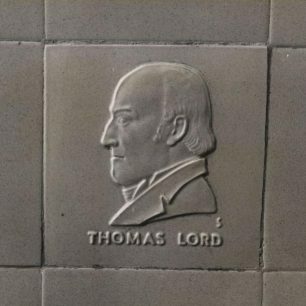 This page was added on 29/07/2018.